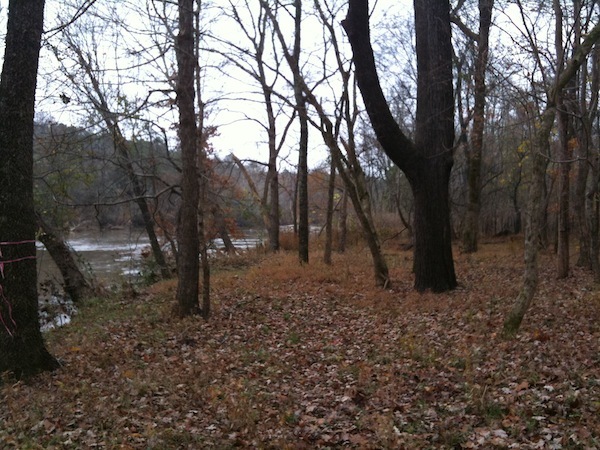 You can park at US 64 and the Haw River “intersection” on the West side of the river, and hike north or south; or park at the Robeson Creek Canoe Access point off Hanks Chapel Road and hike north. 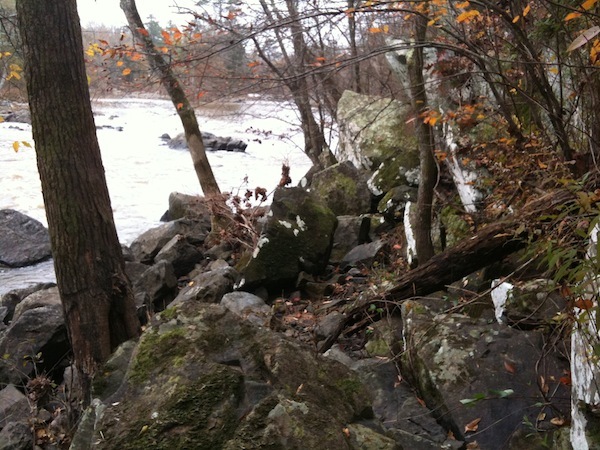 Description: unofficial and unmaintained, or at best “semi” maintained by the boaters and fishermen that use this section… (And you will occasionally run in to hikers, but not often in my experience.) No markers on the trails, and while most sections are obvious, some are not. Just keep the river on the East and don’t wander too far west and you should not get lost. A bit more detail on the north end… There are some sections that may be a bit of a bushwhack depending on conditions. Just keep the river on the east side of you and you can’t get lost. I.e. don’t wander too far to the west. I think I could make it all the way to 15/501 on this path and hope to try it some day. 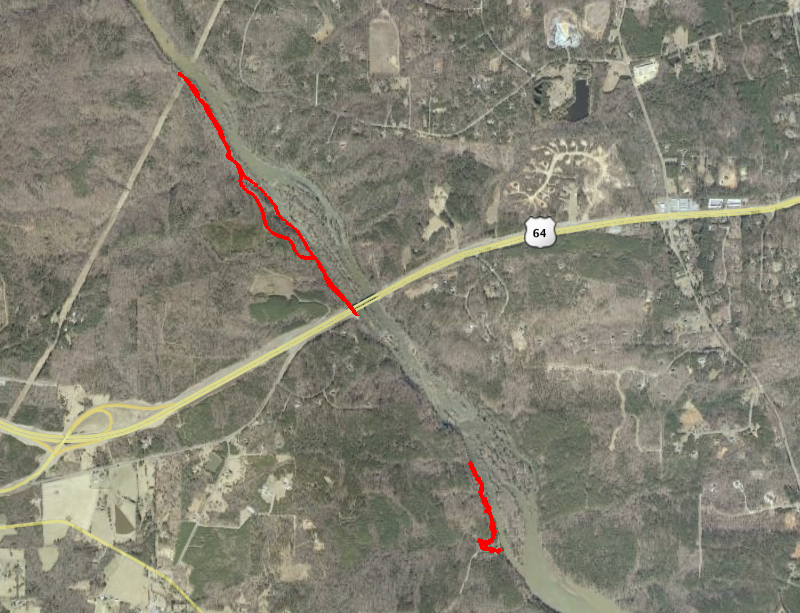 There is a split just north of 64 that leads you up and over/around a section of the river that will not be passible in high water (perhaps 6-7 feet on the gauge). 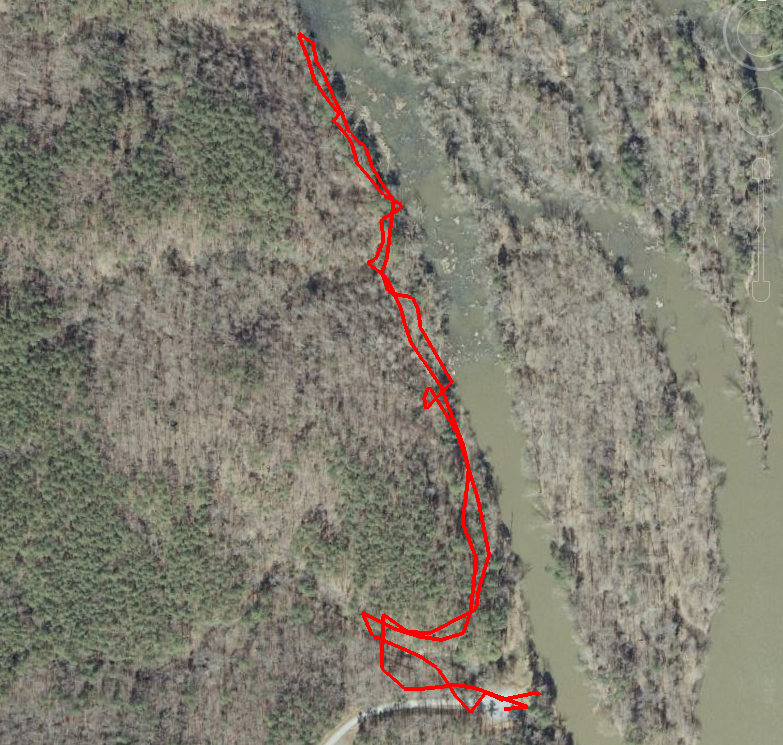 I went both ways so both routes would be visible in the GPS track, but again, the lower section is much less defined and at points you are on rocks on the edge of the river. Again, could not make it all the way to US 64 this day, but I will update this the next time I make the whole route. Normally when you park at Robeson creek you do not have to head as far away from the river as the image below shows, but the water was very high this day, just under 11 feet or flood level on the Bynum Gauge. (Of course the water level is not shown in this satellite image)… When the water is is high, the section near the parking lot is under water. Due to the high water there was a lot of off trail hiking as you can tell from the two slightly different routes on the out and back. If you choose to go the “low” route, or the route closer to the river than up and over, it becomes much less of a trail, and in some places more of a bushwhack and/or scramble. If the water is high, this section would not be passible. Check the USGS Bynum Guage. Anything over 6 ft and your probably will need to swim it. I.e. don’t do it! 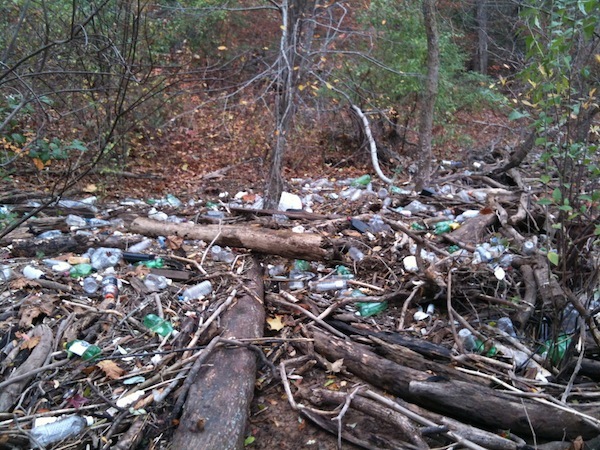 This is what I call a “wash up,” which is where all the trash that comes down river on a big rain ends up. I’d like to go back and clean this up one day. 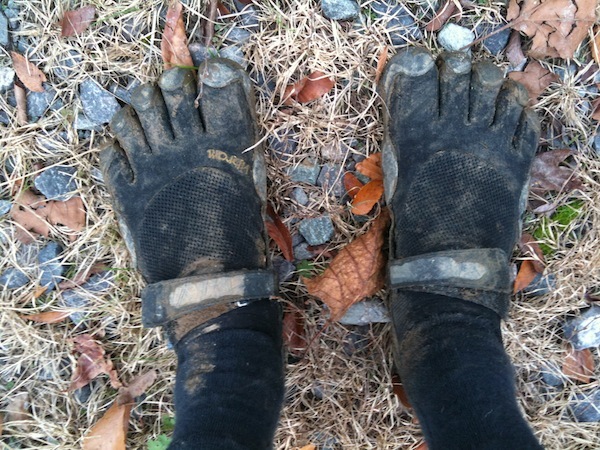 This is what I wore out when I took the GPS on the north section.. It was a bit muddy! 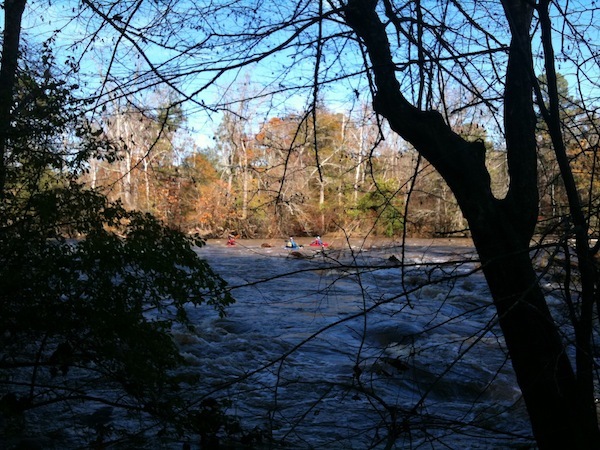 South of 64 is the most popular white water rafting section of the Haw, though you will see some on the section north of the river as well. This entry was posted in Hiking/Backpacking, Trails of Chatham County by seanb724. Bookmark the permalink. Thanks, I was looking this route up specifically. I had heard that this trail will go all the way to Bynum but have yet to actually try it myself. Diane, let me know here when/if you try it. I should be able to get it done sometime in the next couple months, though I have a big race in 3 weeks so I’m not sure if I can fit it in before that.